You can read the article from MPR below. With the primary election less than weeks away, Minnesota’s bonus U.S. Senate race is heating up on the DFL side. 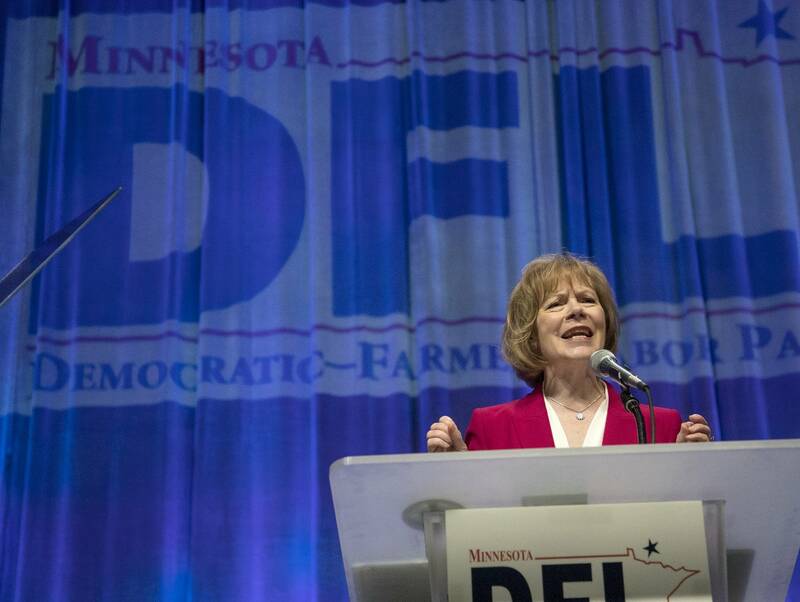 Incumbent Sen. Tina Smith, who was appointed to the post following Al Franken’s resignation, is trying to hold on to the seat. She’s also trying to hold off a primary challenge from Richard Painter, the University of Minnesota law professor who used to be a Republican. One issue on which Painter is trying to contrast himself with Smith is mining. At a recent rally at Metro State University, he generated applause when he pledged to stop PolyMet, Twin Metals and other copper-nickel mining projects. “There’s going to be a law introduced in the House and the Senate that’s going to ban sulfide mining anywhere near major waterways, anywhere,” Painter pledged. Painter says he’s gaining support from DFL voters who are concerned about the potential environmental risk of sulfide mining. He said many are also concerned that several Democrats, including Tina Smith, are backing PolyMet. “A lot of people in this state are very upset about the sulfide mining,” he said. Smith recently sponsored a measure to advance a land-swap for the project, but her amendment didn’t make into the final bill Congress will vote on. She accused Painter of misleading people about her environmental commitment and insists that PolyMet can create jobs and protect the environment. “If that project makes it through the extensive and rigorous environmental review process that is run by the state, and it passes through that with strong financial assurances and strong protections for water quality, then I believe that project should go forward,” Smith said. Smith was the state’s lieutenant governor — her first elected office — until Gov. Mark Dayton tapped her to fill the Franken vacancy. Since joining the Senate in January, she says she’s been busy with her duties in Washington and talking to constituents back home. “It was so important to me to reach out to Minnesotans right away and spend as much time as I could talking to people and listening to them,” she said. When Smith talks to voters on the campaign trail, she’s been bringing up her support for abortion rights and a job she held a dozen years ago. She proudly declares that she is the only U.S. senator to ever work for Planned Parenthood. Smith raises the issue to underscore her opposition to President Trump’s Supreme Court nominee Brett Kavanaugh, who she believes would overturn Roe v. Wade. Painter has similar concerns about Kavanaugh and abortion. But he complains more about Kavanaugh’s views on other issues, including presidential immunity. “We really would have to look at any supreme court nominee from this administration to make absolutely sure they’re not committed to an extremist agenda,” he said. Painter, who gained notoriety as a frequent Trump critic on cable news programs, also opposes any court nomination moving forward while special prosecutor Robert Mueller continues his investigation. Painter has had firsthand experience with two supreme court selections. As an ethics lawyer for President George W. Bush, he worked on the nominations of John Roberts and Samuel Alito. As a DFL candidate, Painter is now distancing himself from his Republican past. But asked if he now considers himself a Democrat, Painter stops short of declaring a new party allegiance.